Orbit Bike With Seat. Can Be Used As A Cycle Or As A Cross-trainer. Cruze Fitness CFOB-1100 Magnetic Orbit Track Bike Orbit Bike With Seat. 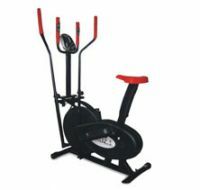 Can Be Used As A Cycle Or As A Cross-trainer. Handle Bar Adjustable Handle Bars For Varying Heights. Programs Can Be Used As A Cycle Or As A Cross-trainer. Mode/Set Option Orbit Bike With Seat. To Recieve updates and possible rewards for Cruze CFOB-1100 please sign in. To Recieve updates and possible rewards for Exercise Bike please sign in.